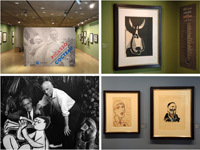 The exhibition Picasso - Cocteau: Pioneers of Modernism is the most is important to have been presented to date at the B. & M. Theocharakis Foundation. It materializes on the occasion of the centenary from 1915 of the acquaintance of the Spaniard Pablo Picasso with French bourgeois artist Jean Cocteau, the latter by eight years jounger. 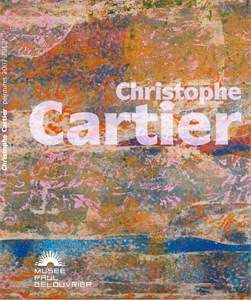 The two artists lived most of their lives in southern France with close communication between them and often collaboration, from 1915 until the death of Cocteau in 1963, apart from the period 1927-1949 during which the latter was embittered by an inappropriate statement by Picasso. 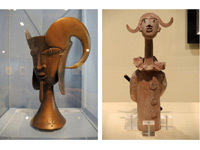 Their harmonious diversity is the subject of this exhibition. 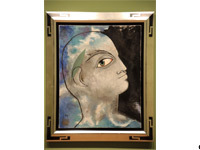 On the one hand, Picasso worked exclusively with the visual production that defined Modernism, and so he ranked amongst the leading artists of the 20th century. On the other hand, Cocteau investigated artistic production more peripherally, but he worked so closely with authorship so as to become a member of the French Academy and the Belgian Academy in 1955, and an honorary doctor of the University of Oxford a couple of years later. 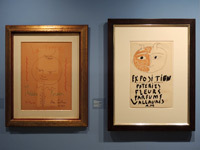 The two artists were established with their works as the “unruly children” that upset with the glamor of their personality the hierarchical relationships in the family of Modern art. Through their temperament that are essentially relational, they referenced the classical past with an aim to renew the conventions of contemporary artistic inspiration, and create new forms of expression. Although Picasso was born in Spain, where he spent the first years of his life, both artists were nurtured in France of Modernism in the late 19th century. While the French vanguard continued, just as in the past, to base its education on ancient Greek literature and philosophy, it experimented with the new iconographies of Cubism and Futurism, inspired by the new technological inventions of the period - airplane, automobile, electricity, gramophone, radio, radiography and telephony. The experience, however, of the First World War, that made everyone react to the brutality of war and the fragmentation of reality, led art towards two different directions – on the one hand to the extreme positions of the aesthetic anarchy of Dadaism, which was characterized by a deliberate irrationality and rejection of the dominant ideals of art, and on the other hand to the Return to Order movement, which renewed the interest of the official vanguard for tradition, and associated with a revival of classicism, as representative of peace, harmony and timeless values, that the war attacked. 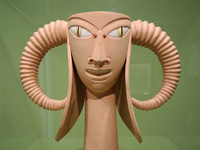 This official vanguard was headed by Picasso, who was formerly a pioneer of innovative styles. Turning his back on his former revolutionary ideas and innovative approaches, Picasso explored the possibilities offered to him by tradition. 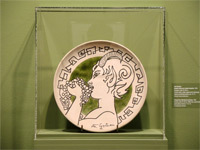 Thus, the 1918-1936 period is characterized as the Neoclassical phase of Picasso. 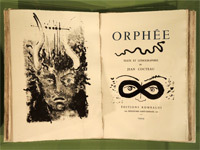 The term “Return to Order,” which describes this renewed interest in classicism, originates in the book Le Rappel à l’ordre, a collection of essays published by Cocteau in 1926. Mavrotas, Takis, and Markus Müller. Picasso - Cocteau: Pioneers of Modernism. Athens: B. & M. Theocharakis Foundation, 2015. Jean Cocteau. Le Rappel à l'ordre. Paris: Delamain et Boutelleau, 1926. Duration: 4 November 2015 - 28 February 2016. Opening Hours: Monday, Tuesday, Wednesday, Friday, Saturday, Sunday: 10:00-18: 00, Thursday: 10: 00-20:00. Tickets: 7 € (normal) 4 € (students and over 65), Unemployed: gratis. Contact: +30 210 3611 206, info@thf.gr, www.thf.gr. Address: 9 Vassilisis Sophias Avenue, Athens, GR 10671.